A dental veneer is usually made of a thin porcelain shell. It is bonded to the front of the tooth and takes the place of the natural enamel. A challenge for those who get dental veneers is keeping them from staining. Although they’re coated with a stain-resistant resin, veneers can be damaged and stained by eating certain foods, especially those that wear away this resin. To keep your teeth whiter with veneers, it is best to avoid tea or coffee. Consuming these drinks with a straw can avoid staining, because the liquid will bypass your teeth. Red wine can also stain veneers, so it’s important to consider how you’re going to drink it, unless it is avoided altogether. Another habit will increase the chances of staining your veneers – smoking. There is no way to prevent smoking from staining veneers, and causing a host of other potential problems, unless you stop. If you have dental veneers, brush your teeth right after eating. A quick rinse will suffice if you are eating out. Whitening toothpaste is a preferred choice for many people, but it is abrasive and can wear down the resin on your veneers, taking their stain-proof power away. Hard or very crunchy foods can damage veneers and their resin, which will also be worn away by hot sauces, lemons, and other acidic foods. Candy, tough meat, and gum should be avoided. Foods that typically leave stains should as well, including curry, jam, tomatoes, red pepper, and ketchup. Temporary veneers require even more care, and you should resort to only eating soft foods such as cut-up chicken, pasta, eggs, bananas, or white fish. 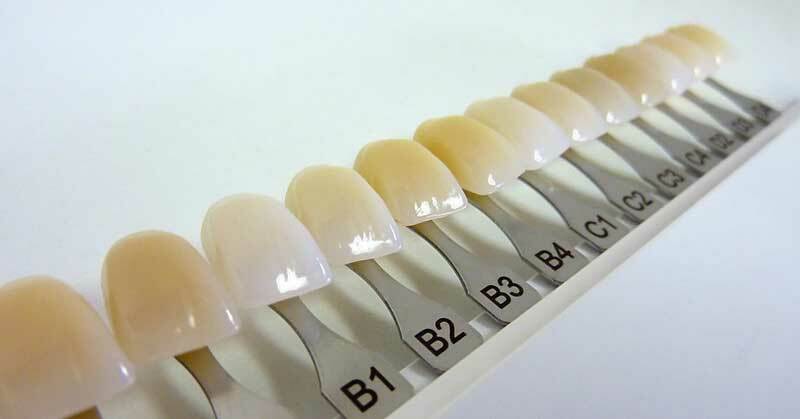 With permanent veneers, any hard food or dark liquid is bad, and alcohol will quickly ruin the bonding material. If you grind your teeth, the dentist can make a bite guard. This is a device worn while you sleep to ease the stress on the teeth. It can protect your veneers so they last for longer and remain stain-free. Dentists usually schedule a visit one week after veneers are put in. They evaluate their placement and if there are effects on the gum tissue. Veneers may require periodic maintenance but, if you take the right measures to protect them and prevent staining, your teeth will remain sparkling white for many years.